Government agencies operate under notoriously strict guidelines and budgets, which means they must seek efficient and cost-effective uses of their limited resources. The technology used by government entities has a limited lifespan and managing the logistics of asset recovery and the packing and shipping of technology equipment that needs to be refreshed or decommissioned can be a complex and expensive undertaking. At AFP Global Logistics, we recognize the unique challenges faced by government entities, which is why we dedicate an entire service department to their unique logistics needs. Our government logistics solutions can meet both the operational and systematic needs of the Department of Defense, government agencies, and subcontractors in a cost-effective manner that never compromises service. Government logistics present unique concerns. When technology reaches the end of its lifecycle or requires refreshment, desktop computers, laptops, and other technology must be properly recovered, packaged, and shipped for refreshment or disposal. The billing processes and government customer requirements must be well understood in order to effectively complete the job according to local, state, and federal guidelines. Seeing this process through requires the assistance of a logistics company that can provide high quality service at affordable prices and who has a clear understanding of the unique needs of government clients. At AFP Global Logistics, we have many years of experience in providing government logistics and we are able to ensure that every aspect of the asset recovery and refreshment process is smooth and streamlined. Our government project personnel have handled hundreds of projects for both government agencies as well as subcontractors and we have the knowledge, expertise, and partnerships needed to get the job done efficiently and affordably. We work closely with agencies and their contractors to be sure that all discipline processes are met and we recognize the uniqueness of each project and strive to provide customized solutions that serve the needs at hand. For a government logistics provider you can count on, trust AFP Global Logistics. 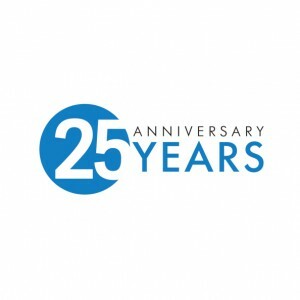 AFP Global is proud to be celebrating 25 years of logistics management! For a customized government logistics handling experience, AFP Global Logistics is the best and only choice! We provide a full range of shipping services, and our 25 years in the business have given us the tools we need to tailor our logistic solutions to each and every individual customer. For more information or to start designing your own logistic solutions today, get in touch with AFP at 410.590.1234 (toll-free 800.274.1237), email us at info@afplus.com, or fill out our quick and easy contact form here! This entry was posted on Thursday, February 4th, 2016	at 3:36 pm	and is filed under Business Basics	. You can follow any responses to this entry through the RSS 2.0	feed. Both comments and pings are currently closed.